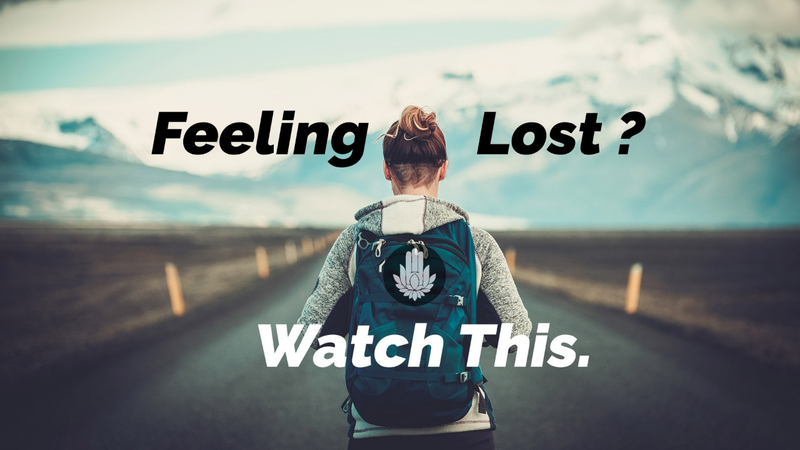 Home > Wisdom > Blog > Feeling Lost? Read this. One morning, just before sunrise, I was sitting in my garden. Before starting, I couldn’t help shake a feeling of sadness I had about some recent news I had heard. On March 8th, 2014, a triple-seven aircraft run by Malaysia Airlines had gone off course while flying from Kuala Lumpur to Beijing, China. The search for the jet, which had become the most costly in history, had finally been abandoned. I felt empathy for the people on the flight and wondered how they must have felt when they discovered they were lost. The crew of the aircraft had made their last contact with air traffic control about thirty-eight minutes after takeoff when the flight was over the South China Sea. “Lost” is a gloomy word. In fact, I can think of very few positive connotations for it. Once, while I was in Japan, I took a walk through Tokyo, made a wrong turn, and got lost for a couple of agonizing hours. At the time, I couldn’t communicate because I didn’t speak the language well enough. Nor did I have a map. And worst of all, I didn’t even know the address where I was staying. I had started off on the walk feeling free and happy, but when I realized I was lost, I suddenly felt foolish and desperate. How about the passengers on that ill-fated Malaysia Airline jet? As travelers, they might have had a giddy sense of freedom and adventure, an excitement to see new places; or, they may have been hopeful of seeing loved ones they had been missing. And what about the people on the ground? Friends and loved ones who had seen the travelers off; and there were those who had been waiting for them in China. How devastating it must have been for all of them when they first heard the news that the aircraft was lost? The searchers, the airline employees, and government people were all gripped by the tragedy. And then there were the rest of us, like me, who were feeling pain in our hearts, even though we didn’t personally know anyone on board. No one knows exactly why the aircraft stopped communicating with controllers. Nor does anyone know why the transponder – the device in the cockpit that transmits signals telling the ground crew where it is – wasn’t working. My personal anxiety about this tragedy brought to mind two truths. The first is the fact that the quality of my life is dependent on the quality of my connections with others. The second is that I am dependent on others for guidance as I make my way through an amazingly complex world. Without connection and guidance, no matter what else I may have, I will still feel lost and unhappy. The word, yoga, comes from a Sanskrit word, YUJ, which means to connect. Our most important connection is with our original divine source. One of yoga’s most prominent and ancient processes of making this connection utilizes one’s tongue. One performs mantra meditation with the help of one’s tongue by repeating a mantra, a transcendental phrase. Sitting in my garden that morning, remembering the lost Malaysia Airline flight, I thought to myself how the sound I make while repeating my mantra is just like the signal from the aircraft’s transponder. We all have built-in transponders, but we sometimes turn them off and lose our sense of connection and guidance with our original source. That morning, as I began my chanting, I felt renewed motivation to chant with deeper feeling. I knew that I was turning my personal transponder on and that it would bring me the connection and guidance that I crave. In what ways have you felt the importance of connections and guidance in your life? Please drop me a note with your thoughts using Ask Vaish form. I’d love to hear your story.